Paul Tormey, Regional Vice President California and General Manager, brings over 30 years of experience to Fairmont San Francisco with his latest position as General Manager and Regional Vice President of the East Coast Fairmont Hotels. Fairmont was named after James Graham Fair or “Bonanza Jim” a mining magnate and U.S. Senator. Tessie and Virginia aka “Birdie” (Fair’s daughters) inherited the property after his death & Decided to build the first hotel Atop Nob hill as a monument to their father. On April 18, 1906 The Great Earthquake shook San Francisco. 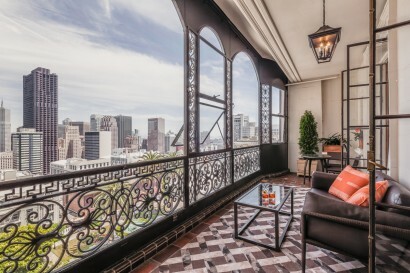 Fairmont was scheduled to open within days, but it was damaged from the fire that had consumed half of the city of San Francisco. The owners pledged to open 1 yr. later (to-the-date). Since the hotel opened its doors in 1907 the Fairmont has been an integral part of the heart and history of San Francisco. 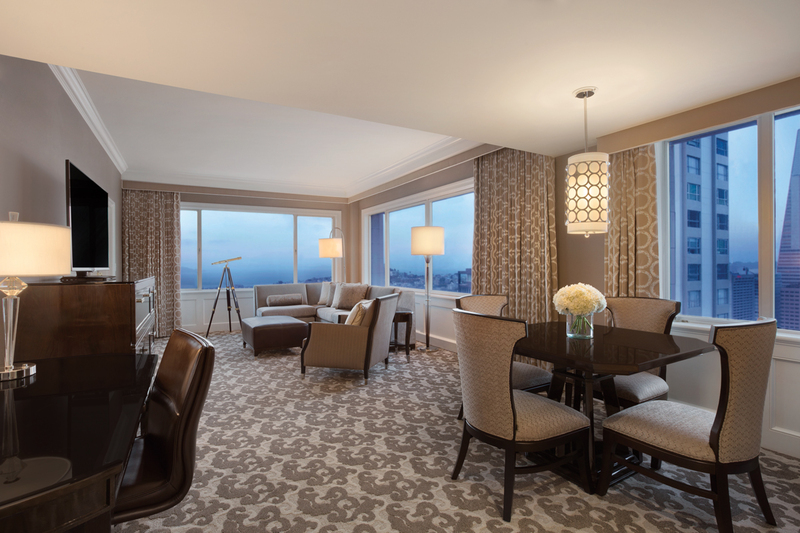 Renovation of all guestrooms concluded in mid-2015 led by Forrest Perkins U.S. based interior architecture. 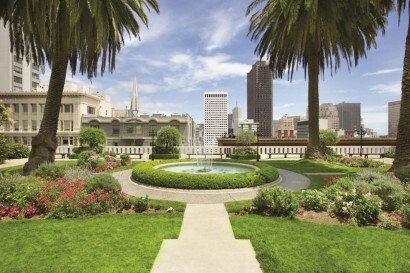 In 2010, Fairmont San Francisco, in partnership with Marshall’s Farm, installed honey beehives in the hotel’s roof top garden in order to help support the bee population. Annually, the beehives typically produce an impressive 1,000 pounds of honey, which has been served to hotel guests as part of Fairmont’s commitment to offering local, organic, sustainable cuisine. This home-harvested honey is used in soups, salad dressings, pastries and as an accompaniment to the hotel’s time-honored afternoon tea service. to offering local, organic, sustainable cuisine. 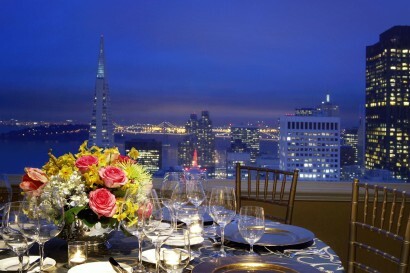 Centrally located, walking distance to Union Square, China Town, North Beach and the Financial District. All which offer amazing restaurants, shopping and entertainment. Fairmont San Francisco was added to the National Register of Historic Places (#02000373) on 17 April 2002. 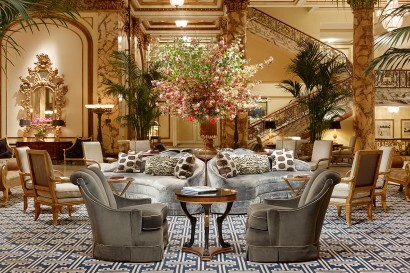 The National Trust for Historic Preservation has accepted the Fairmont San Francisco to be part of the Historic Hotels of America. 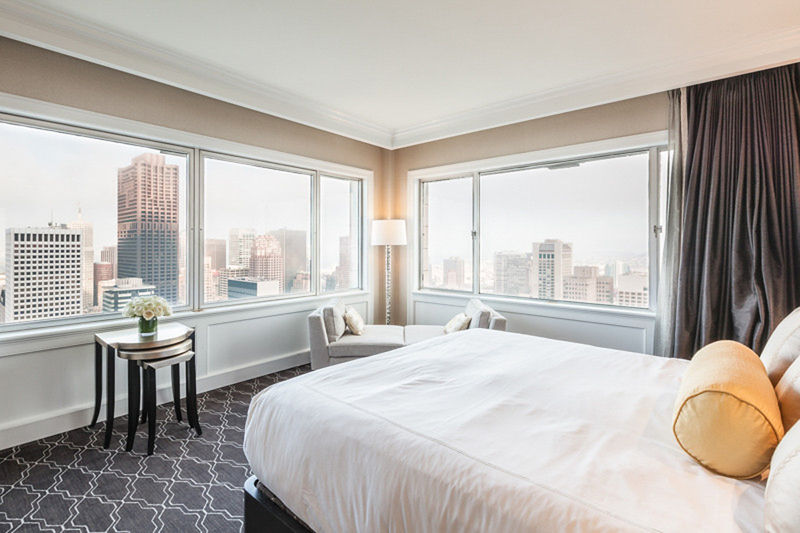 Fairmont San Francisco is partnered with American Girl Doll offering an American Girl doll package where the child gets a Doll-Size Travel Bed, Doll-Size Robe & Slippers for their American Girl Doll. 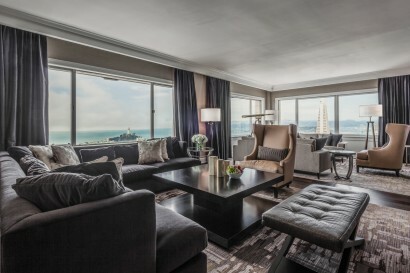 Fairmont San Francisco tailor’s children amenities based on the request/needs from each family that stays at the hotel. 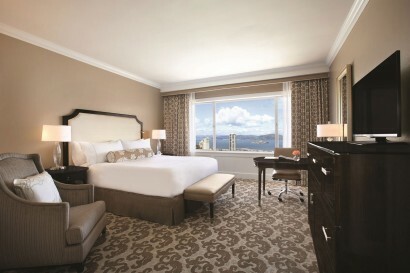 Fairmont San Francisco offers a variety of suites between Historic Main Building and Tower Building. 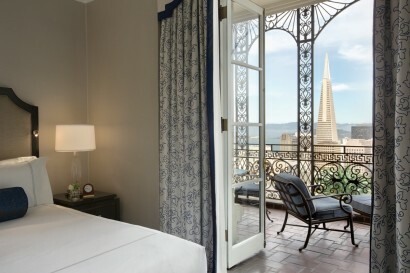 Main Building offers high ceiling, each suite has a unique charm, spacious bedroom and parlour area with views of Nob Hill neighbourhood. Types of Suites in the Main Building are: Main Building suite; Main Building Corner Suite (offering 2-bathrooms) and Main Building Balcony Suite (offers views of the city). Suites in the Tower offer wall-to-wall windows of the city skyline and bay. 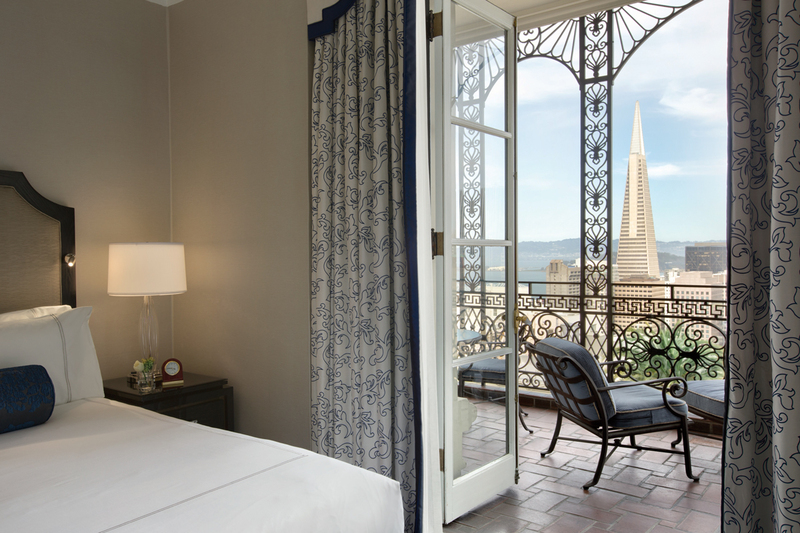 There are two types of Suites in the Tower Building: Tower Suite (Floors 2-11) and Signature Golden Gate Suite (Floors 12-21) the difference between both are the views of the Golden Gate Bridge. 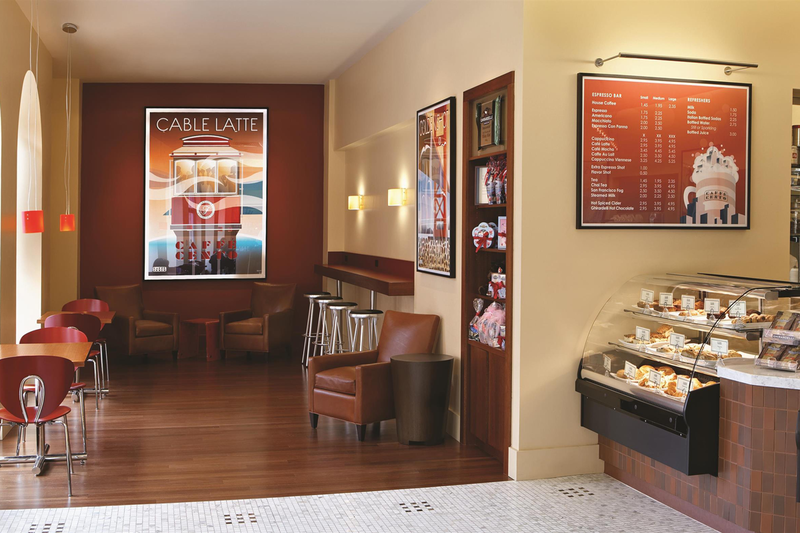 Laurel Court showcases seasonal menus that are authentically local, traditional and innovative. Chef Oscar Gonzalez has partnered with local farmers for the freshest, seasonal organic produce and free range poultry and eggs, with the finest of ranchers for natural and dry-aged beef, and with Monterey’s Seafood Watch in purchasing from sustainable sources. 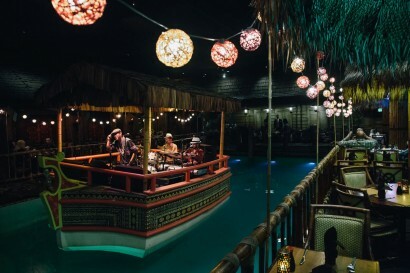 A visit to San Francisco is not complete without experiencing Tonga Room & Hurricane Bar. Consistently awarded for serving ‘San Francisco’s Best Happy Hour’, Tonga Room offers exceptional Pacific Rim Asian Cuisine in a tropical setting that includes thunder and rain storms. It is the perfect escape after a busy day of meetings or shopping along Union Square. 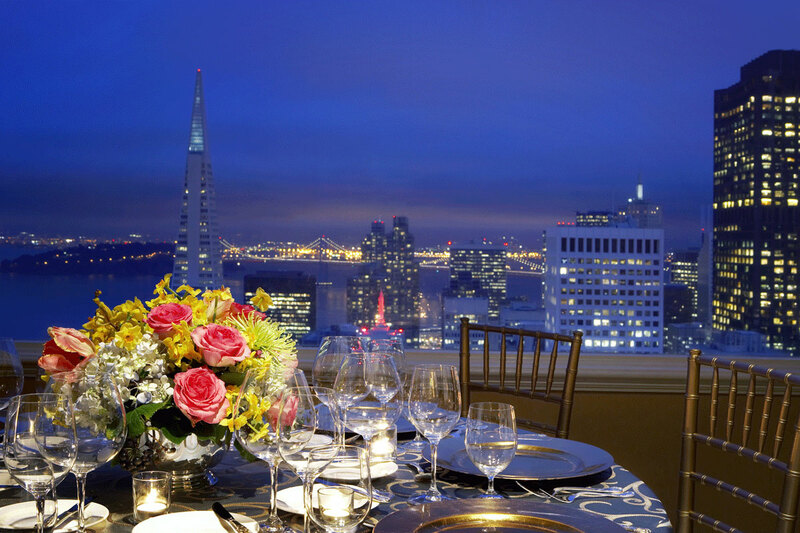 Fairmont San Francisco features 55,000 square feet of elegant and well-equipped function space. Meeting rooms include everything from grand and glamorous ballrooms for large conferences or conventions, to intimate spaces for smaller meetings. Fairmont San Francisco has built a reputation for superb service, and the hotel’s expert staff is dedicated to making your meeting a success. • AAA Four Diamond Award. • ExxonMobil Four Star Award. • M&C Gold Key and Gold Platter Award. 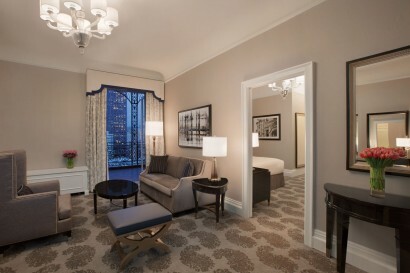 • Travel & Leisure’s “World’s Best Hotels” Award.